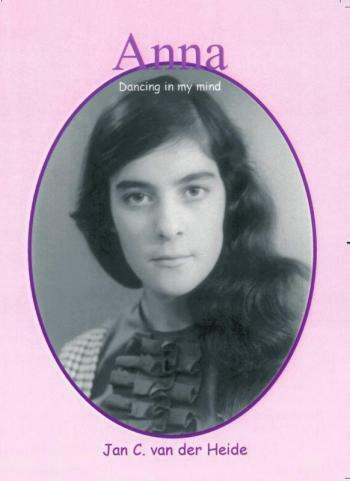 ANNA - dancing in my mind For those who knew her, Anna van der Heide had become a household word. Her name stood for love, warmth, humanity and kindness. She was for one and all a large loving mothers heart. Anna, the wife of psychic and hypnotherapist Jan C. van der Heide, has passed away. Jan wrote this book about his dearly beloved Anna. `The flower of his heart, the woman he owes so unprecedented much to. While reading, we can bask in her unlimited love, and in her deep warmth and spirituality. You cant stop reading Anna Dancing in my mind . Its about the love between a man and a woman, moving, touching, strong and powerful. They were born for each other and destined for each other. Anna Dancing in my mind is an almost fond love story about two lives, steeped in hard-boiled earthly realism. Death came to stand between them. But their love knows no bounds.